Se mostraron como “la nueva política española”. Se presentaron como “los indignados” que buscaban algo nuevo para su país. Se hicieron visibles por su presunta “transparencia”. 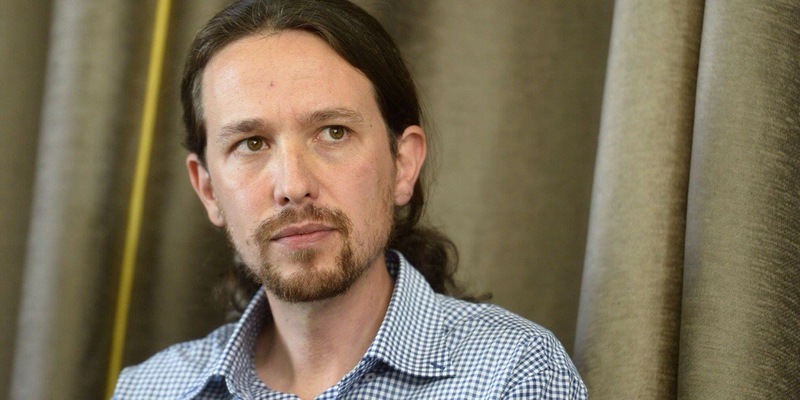 Sin embargo, los líderes del partido político Podemos adoptaron todos los vicios que decían aborrecer. Y para peor, los niegan. Este grupo político -autoproclamado independiente de los poderes hegemónicos- recibió una suma millonaria por parte de los sucesivos gobiernos de Hugo Chávez y Nicolás Maduro para financiar su think tank y presentarse finalmente como “la revelación” de las últimas elecciones parlamentarias europeas. 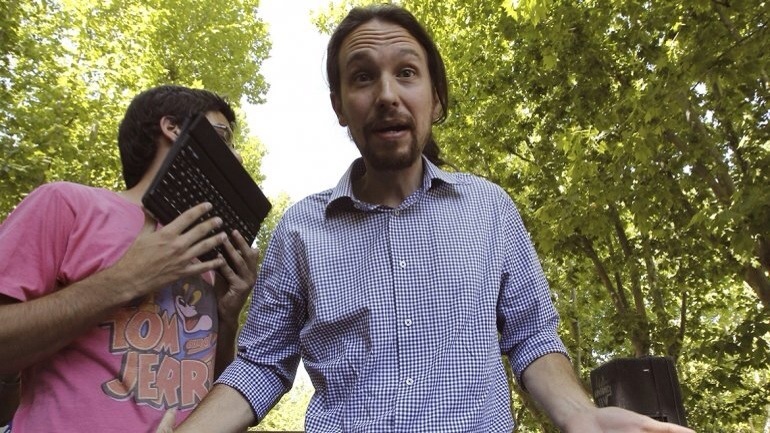 El monto asciende a 5 millones de dólares, lo suficiente como para instalar a un grupo ante la sociedad y financiar una campaña política basada en una supuesta austeridad. El vínculo entre el chavismo y el Centro de Estudios Políticos y Sociales (CEPS) -la fundación de Podemos- iniciaron sus relaciones en 2002, cuando aún el ex caudillo bolivariano vivía y controlaba Venezuela a su antojo. Desde ese año, el flujo de dinero fue acrecentándose hasta sumar la cifra total. Los datos fueron comprobados mediante las cuentas depositadas en el registro de fundaciones del Ministerio de Cultura. 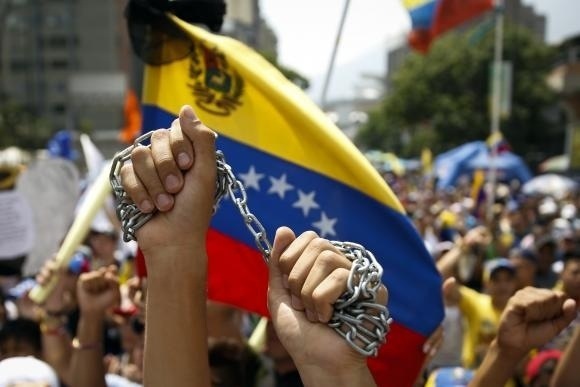 Venezuelan security forces arrested scores of people on Wednesday during a sweep of a busy Caracas avenue as protests against the government heat up amid a widening split within the opposition over whether to back possible U.S. sanctions. The protest and police response comes as month-old negotiations aimed at easing tensions hang in the balance. The opposition on Tuesday froze talks with President Nicolas Maduro’s government, saying the climate for dialogue was impossible after the arrest last week of more than 200 student protesters who had been camping for weeks outside the offices of the United Nations and three plazas in the capital. Many political observers believe that by halting the talks opposition leaders were caving to pressure from their own radical base, which is fuming over confusing statements by the top U.S. diplomat to Latin America. Has anything changed for best yet? For over a month now, tens of thousands of Venezuelans have taken to the streets in protest. 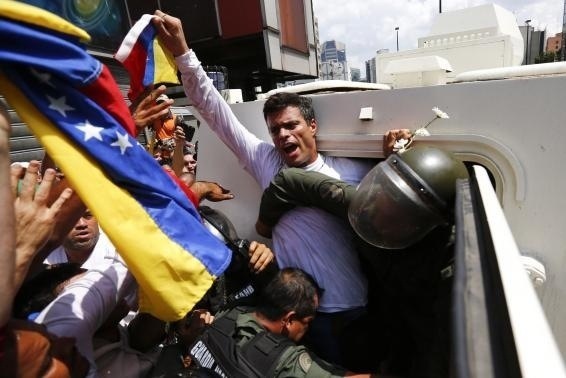 More than 1,400 students were arrested, there are more than 40 confirmed cases of torture and Leopoldo Lopez still sits in a Venezuelan military prison. He has urged the students to exercise their legal rights to peaceful protest and free speech and he repeatedly emphasized they must do so without violence. President Maduro has blamed Lopez for the violence that has beset the country and ordered his arrest on charges of murder, arson and terrorism. To date, the government has presented no evidence of the charges against him and their legal case is falling apart. One goes to Caracas and picks up so many stories, that when you return you don’t know where to start. But I thought I would lead up with the story of the students in front of the United Nations office in Caracas. In some sense it encompasses a number of stories of what is going on in Caracas in the protest movement an its relationship with the Maduro Government. Essentially, a bunch of students (or not) have set up camp in front of the United Nations office which is in Avenida Francisco de Miranda in Los Palos Grandes. 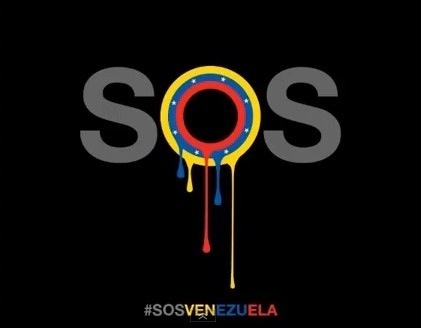 I may not like the #SOSVenezuela hashtag, but, as you can see in the picture above, they have focused on what the hell is the UN doing, or not, in Venezuela. But their reality, their plan is a bit more complicated than that. The first day, the students set up maybe a couple of rows of tents. But, as you can see in the picture above, by now they are up to four rows and growing. It is very colorful as the picture below shows, but this is more than just a spur of the moment plan. When you first talk to them,there are a number of surprises. First, they are not all from Caracas. Second, they are not middle class. Finally, they are not all students, as many of them are part of radical, left wing groups 8yes!, real left wing not imitation Chavistas!) which oppose the Government. So, for fools that claim that these protests are somehow motivated by the US, driven my middle class students, please come down and talk to them. You will be surprised, really surprised. The second interesting aspect, is that the UN is just a way of focusing on something. They know that the UN will do not much more than make a statement or two. But they also know, that where they are, they should be safe, they are close to Altamira where they can go protest every night and in a location where the protests can grow, as they have grown in the last week. But more importantly, they think that Maduro is playing a game of patience. 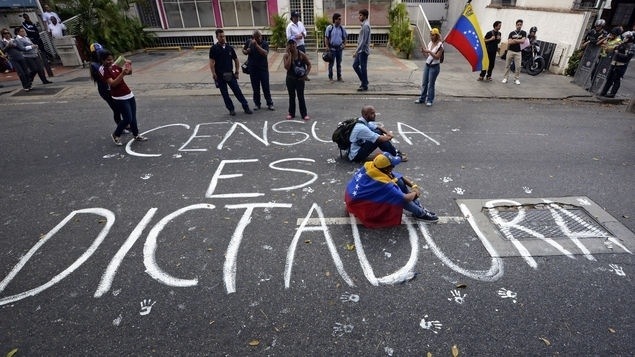 They believe Maduro wants the students to get tired, wear out the opposition with repression and nightly fights, which, much like in 2002 in Plaza Altamira, will lead to the students or the opposition getting tired and giving up. But they have no plans of giving up. Their plan is to grow the camp, as long as it is livable. To make their presence a nuisance, but one that gets the approval of the neighbors. But it has to be livable and sustainable. They have received donations, they have a couple of Porta Toilets, they cook for everyone, they organize protests. But more importantly, they rotate. The tents may have someone’s name on it, or State, but the truth is that they alternate. Each person has someone to occupy their place. The idea is to outlast the Government, to out-tire the National Guard or the Bolivarian Police. After all, nobody can say they are violent (even if they go help in Altamira) but if the Government were to decide to move them out, repress them, it would be the Government that would look bad. In the early-morning hours of Saturday, March 9, three days before I received the extortion call, two friends — a British man and a Venezuelan woman — were attacked in the street close to my building by a group of six young thugs. The man was able to fend off three of them, but they got away with the woman’s wallet and smartphone, reducing her to tears. Sadly, this has become an all-too-common occurrence in the city. For now, I have decided that I can no longer live in Venezuela, one of the world’s most dangerous countries. According to the Venezuelan Violence Observatory, a nongovernmental organization, there were 24,763 murders last year, or 79 for every 100,000 inhabitants. The situation has deteriorated so much that the government stopped publishing official figures a couple of years ago. The government has run the economy into the ground despite the fact that the nation sits atop the planet’s largest oil reserves. Inflation is running at 56 percent. The government budget deficit is more than 10 percent of gross domestic product. Shortages of basic products such as toilet paper, infant formula, diapers and hand soap are rife. People use napkins instead of toilet paper, even though that is prohibitively expensive for most Venezuelans. Otherwise, they go without, and shower regularly. Last week I spent a morning going to seven stores just to find shampoo. People line up for two or three blocks just to obtain the ingredients to make their beloved arepa, a flatbread made of ground maize dough or cooked flour. In Mercals, communal grocery stores subsidized by the government, food prices are extremely cheap but the lines are such that people have to spend a whole morning queuing to get the produce. When did the protests in Venezuela begin? Nationwide student protests started last month. 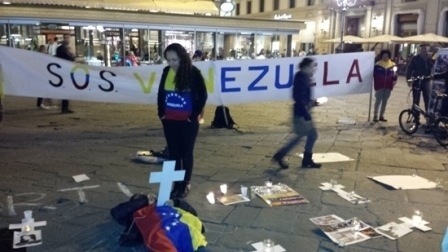 On February 12, the demonstrations attracted global attention when three people were killed. Demonstrators are demanding better security, an end to goods shortages and protected freedom of speech. Who is opposition leader Leopoldo Lopez? 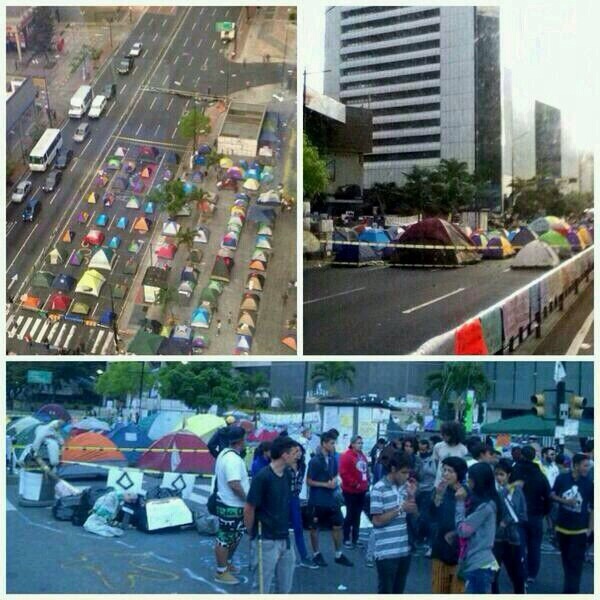 Major social and economic problems have fueled the protests. But as the demonstrations gained steam, officials have pointed fingers at other factors and accused the United States of plotting to destabilize the government. Some blame Venezuela’s government, led by President Nicolas Maduro, for those problems. Maduro and other officials blame the opposition for the security and economic problems. The protests are the largest Maduro has faced in his 11 months in power. He has called opposition members fascists and compared them to an infection that needs to be cured. Many demonstrators across the country are students, but prominent opposition politicians have also joined marches. Since February 13, more than 2,000 stories from Venezuela have been uploaded to iReport, CNN’s user-generated platform. Many of the videos and photos are gruesome, and depict violent scenes between demonstrators and police. THICK clouds of teargas hung in the air over the north gate of the Central University (UCV) in Caracas on March 12th. A police helicopter clattered overhead; on campus, plain-clothes gunmen on motorcycles, some bearing the initials of the national guard, harassed student demonstrators. A month after the government crack-down on protesters began, Venezuela’s crisis is deepening. 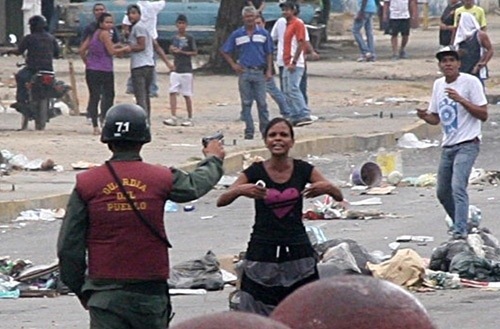 This was the bloodiest single day since three people were killed in Caracas on March 12th. Eighteen injuries were reported at the UCV, after a previously peaceful student march to demand the resignation of the Venezuelan government ombudsman was halted on the orders of President Nicolás Maduro. This list has been compiled using reports from Venezuelan authorities and media. It includes all deaths which have been reportedly connected with the protests, riots, and street barricades. However it does not include several cases which have been included on other lists, due to the possibility that these deaths were not related to the political violence but were in fact the result of other criminal violence. It also differs slightly from the count held by Venezuelan authorities, which does not appear to include the two cases mentioned below of deaths caused by barricades delaying patients in a critical condition from reaching hospital. It is important to highlight that both this and all other counts are made using the available information and the judgment of the authors. New information produced as investigations proceed may change which cases count as being connected to the political violence, and who the perpetrator of each murder is considered to be. Observers are welcome to send in information to VA.com on cases that may have been missed, or information that suggests that cases which have been excluded from the current list should be included. 1,2 & 3: On 12 February, an opposition activist, José Roberto Redman (21), a pro-opposition carpenter, Bassil DaCosta (23), and a Chavista social activist, Juan Montoya (40) were killed during clashes in Caracas.